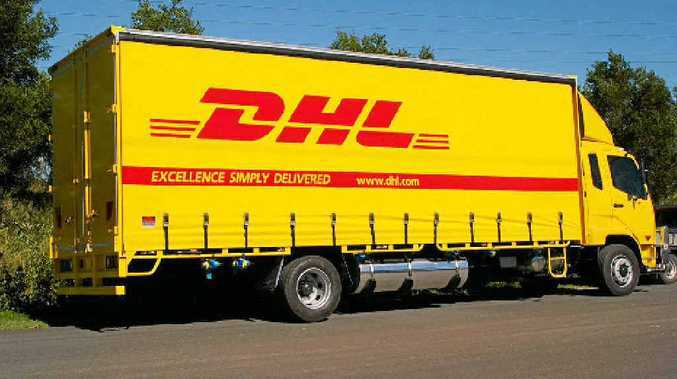 QUALITY FINISH: An example of a curtainside produced by Eagle Canvas for DHL. EAGLE Canvas not only manufactures products to suit larger trailers but also caters for rigid and light commercial vehicles. Eagle curtainsiders are made from the highest quality fabrics and all stress and wear points are strongly reinforced. They use high-quality stainless steel buckles, bearing rollers and plastic-covered hooks as standard with all curtains. Modern RF welding techniques are used in the manufacture of their curtains so you can be ensured of strength and longevity. And with the Eagle 4-5 buckle curtainsiders you can save time in opening and closing the curtains. The Eagle load restraint curtains are tested in accordance with the Load Restraint Guide 2004 to contain pallet loads and unitised loads. The load rating of the Eagle load restraint curtain has been achieved by the addition of stiff but flexible steel strapping reinforcing loops in place of the previous webbing straps. These are enclosed in pockets to prevent undue wear. By using these straps in combination with heavy duty buckles and double bearing rollers load ratings between .75t to 1.2t per pallet space can be achieved depending on curtain track configuration and distance between roof supports. From the rigid to the commercial, they can also manufacture canopies that are tailored to cover a supporting framework on the back of your ute. You can find the Eagle Canvas team at Rocklea on the corner of Dunn Rd and Macbarry Place.